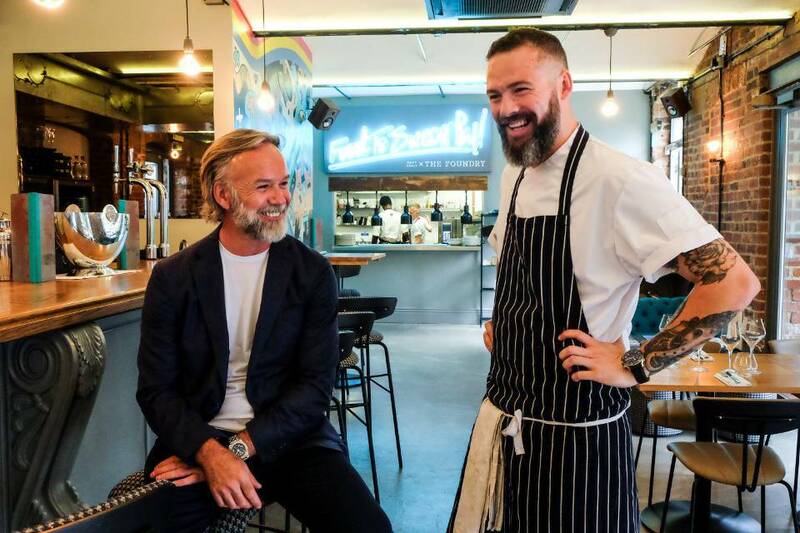 MasterChef: The Professionals finalist Matt Healy was reunited with the show’s expert judge Marcus Wareing as he visited his restaurant The Foundry Leeds. 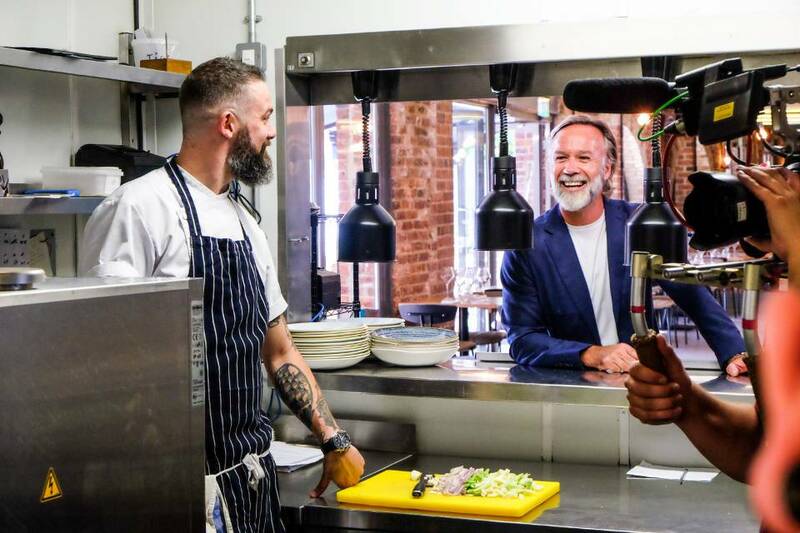 Michelin-starred chef Marcus visited Leeds-born Matt at his restaurant Matt Healy x The Foundry in Holbeck to film part of a one-off special –MasterChef: The Professionals Rematch, which will air on BBC Two, December 27th. Matt of The Foundry Leeds said: “It was so surreal to see Marcus walk through the doors. I have so much respect for him and I was really nervous to have him come all the way to Leeds to visit me at the restaurant. We had a good catch up and talked about my performance on the programme in 2016 and what I’ve been doing since. “It wasn’t that long ago that I was working in sales for a commercial kitchen company. Fast-forward a few years and I’ve been in the finals of MasterChef: The Professionals, launched MH x The Foundry, and Gron café in Roundhay, and now Marcus has come to visit me in my own restaurant. MasterChef: The Professionals Rematch revisits finalists from previous years and invites them back to the kitchen to prove to the judges how their food and skills have evolved. MasterChef: The Professionals Rematch will be shown on Thursday, December 27th at 8pm on BBC Two.